Normally I post on the style of a wedding, but there is something to be said for spending some time thinking about the style of a marriage. 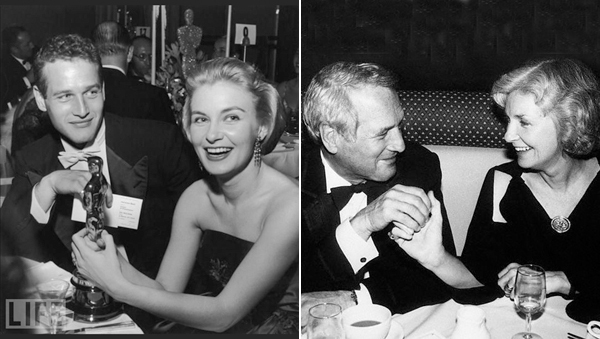 A few months ago I stumbled across an article about the 50 year marriage between Paul Newman and Joanne Woodward. 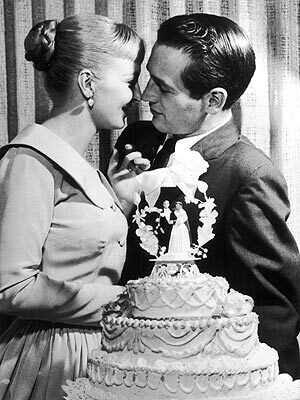 They got married in a simple ceremony in Las Vegas in 1958 and we’re married until Newman died in 2008. Wedding lore suggests that at the Newman and Woodward wedding the “Art of Marriage” by Wilferd Arlan Peterson was recited. Are there married or forever-together couples whose style you admire? Maybe you’re team Tom+Rita, Michelle+Barack, or maybe you have grandparents who have been married forever you inspire you. Either way, I think it is important to be inspired by those that get it right. This entry was posted in Advice, Her Inspiration, Her Weddings + Events, Marriage, Personal, Wedding Inspiration and tagged Paul Newman, Paul Newman and Joanne Woodward, Paul Newman Art of Marriage, Paul Newman wedding, The Art of Marriage. Bookmark the permalink. I’m sure alot of girls would make it work if they had Paul Newman to wake up to every day. He was the dreamiest man alive…ever. Great point 🙂 Thanks for commenting!